2 for £18 on Selected Men's Polo Shirts at USC Double-up on some new polo shirts from USC and save yourself the agony of choice as well as a hefty sum! 10% Student Discount at USC Students! Grab a handy 10% saving on your USC order, so you can shop on a budget. 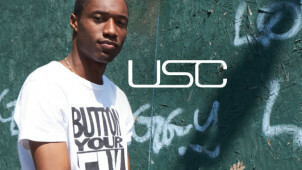 Up to 70% Off Selected Boys T-Shirts at USC Give your kid something new this spring at a great price through USC. Up to 70% Off Women's Sunglasses at USC Keep the sun out your eyes for far less thanks to USC's discount sunglasses! Up to £30 Off Women's Skirts at USC With the temperature rising, be sure to grab a skirt for that summer sun whilst the discounts are going strong at USC! Up to £50 Off Women's Sale Orders at USC Cut the cost of your next big fashion shop by grabbing some new threads from the USC sale! Free £5 Voucher with Collect and Collect Orders at USC Order online and collect from your local USC to receive a free £5 voucher to spend in store! Up to 30% Off Tommy Jean Orders at USC Look fantastic whilst giving your finances a break too by grabbing a discount pair of shoes or clothing from renown fashion brand Tommy Jeans. 2 for £20 on selected Women's Sports Bras at USC Hit the gym in a fresh sports bra, now available with a fantastic multibuy deal from USC. New Arrivals from £10 at USC Look over some of the new wares sold at USC and find your next wardrobe addition for as low as £10! USC offers some great bargains and fashion inspiration, and you can get the best deals on their products when you come to vouchercloud first to help you make savings on all of your fashion buys! USC has been selling its premium high-end fashion online since 2008, and also has retail stores in many UK towns and cities. The aim of the brand is to give you access to the best products from both designer and independent brands, allowing you to put together your own unique looks by mixing cool streetwear and high-end chic. As well as being a great place to pick up the very latest in fashion for the current season, USC is also a good place to buy things like designer swimwear and beach clothing out of season if you are planning a holiday in the sun. From sun to fitness, at USC, you can find all the gear you need to optimise your workouts. Find sports' apparel, technical footwear and even accessories like smart watches to track your performance. With USC you'll always be looking and feeling fresh. So whatever your sport and whatever your style, you can trust in USC to get you kitted out. How do I use my USC discount code? If no code was required, the savings will be taken off of your total automatically so you can continue securely. Sign up to the USC newsletter and let them keep you in the loop about new products, discounts and more! Where is my nearest USC Store? To shop in person or find your nearest branch for Click and Collect, use the store locator on the USC website. Does USC offer student discount? Make sure that you're signed up to UNiDAYs to get 10% off at USC. When is the USC sale? You can always find great bargains at the USC Outlet, and don't hesitate to indulge in the Flash Sale section. You can return items to your local store or by post using the online form here. For a refund items must be returned within 14 days after receipt of the order. Email: cs@usc.co.uk or use the online contact form. Up your brand game this summer with the good folks at USC. With a great catalogue of designer products and sportswear for men, women and kids, you can make unbeatable savings on everything you need with a USC discount code from vouchercloud. From underwear and accessories to coats, knitwear, shoes and more — find it all with USC. Think Puma, Lacoste, Converse and AX Paris — the names don't come any bigger than the ones you’ll find here. USC actually lets you pre-order new season products before they arrive in stores. If you want to get your hands on cutting edge clothes and shoes from the brands you love, you can be among the first to own them by doing this, and USC will also give you a 30% discount on the things you buy that you have pre-ordered before. As one of only a handful of retailers that lets you do this with big brand collections, you can stay ahead of the curve when it comes to the latest trends by shopping at USC. When you’re out and about this summer, you’ll want to be sure your trainers are giving you the comfort and style you need, and where better to find these than USC? Shop with a USC promo code and you can choose high-performance sports shoes by names like Adidas and Puma as well as Lacoste, Fred Perry and Converse. USC has trainers for men, women and children, with unisex styles too, so whoever you are shopping for, you'll find the perfect sports and casual shoes here.